Dazzling photographs combine with inspiring insights from international ocean icon Sylvia Earle and other notable ocean advocates, paying a poignant tribute to the beauty and magic of the ocean and shedding light on its abundant gifts to the planet. 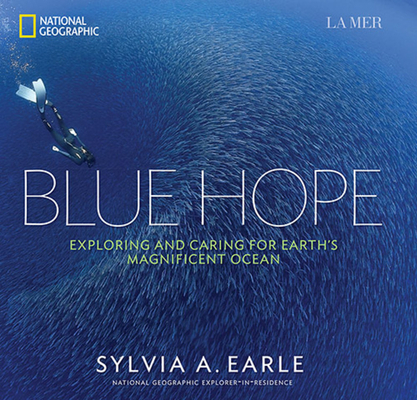 This lyrical ode to the ocean marries the insights and inspiration of ocean advocate Sylvia Earle, and other experts and celebrities, with the world's most stunning photographs of beaches, coral reefs, and underwater life. All combine to express Earle's passionate message: Life depends on the ocean, and to save it we must love it. In seven essays, she recounts the milestones of a life spent pioneering and protecting the ocean. Supporting facts and maps bolster this book's clear and hopeful message: We can all play a role in keeping the heart of our planet alive. National Geographic Society Explorer-in-Residence DR. SYLVIA A. EARLE, called "Her Deepness" by the New Yorker and the New York Times, "Living Legend" by the Library of Congress, and first "Hero for the Planet" by Time magazine, is an oceanographer, explorer, author, and lecturer. She has experience as a field research scientist, government official, and director for corporate and nonprofit organizations, including the Aspen Institute, the Woods Hole Oceanographic Institution, National Marine Sanctuary Foundation, and many others. Formerly chief scientist of NOAA, Earle is the founder of Mission Blue and SEAlliance, and chair of the Advisory Council of the Ocean in Google Earth. She has a PhD. from Duke University and 22 honorary degrees. She has authored more than 190 scientific, technical, and popular publications; lectured in more than 80 countries; and appeared in hundreds of radio and television productions.